One of the big parts of the ACT/IAC’s annual Executive Leadership Conference is the awarding of the annual Janice K. Mendenhall Spirit of Leadership Award, the highest tribute that ACT/IAC can bestow on a member of the government IT community. The actual award was a funny experience. ACT/IAC had given out all of its awards — read all the winners after the break — and the Mendenhall award is the big one of the evening. The late Mendenhall was a long-time GSA leader. I knew her in passing, but she is still well respected — even years later. And the Mendenhall award is one of the highlights of the Executive Leadership Conference each year. And last year’s winner, Ellen Glover, had very nice words to say about Lee. Dee Lee has a distinguished 30-year government career serving in a wide range of political and career positions and agencies. Throughout her career, she has led by example, thus serving as a role model, mentor, and source of inspiration to other rising stars among the ranks of government and industry. A “straight shooter,” Dee has engendered the respect of both industry and government colleagues by going “above and beyond” to make a difference to others. She has a passion for government, government acquisition and excellence as illustrated by her government career which includes the positions of director of management and chief acquisition officer for FEMA, assistant commissioner of integrated technology services for GSA’s FAS, and director of defense procurement and acquisition policy at DOD. And when they called Lee to the stage, everybody was on their feet giving a standing ovation. Fortunately or unfortunately, Lee didn’t know she was the winner, so she had gone to her room to work on a presentation she was giving later on in the week. They ended up giving out the award to Lee on Tuesday morning. The photo is of the previous Mendenhall award winners who were at ELC holding Lee’s award. 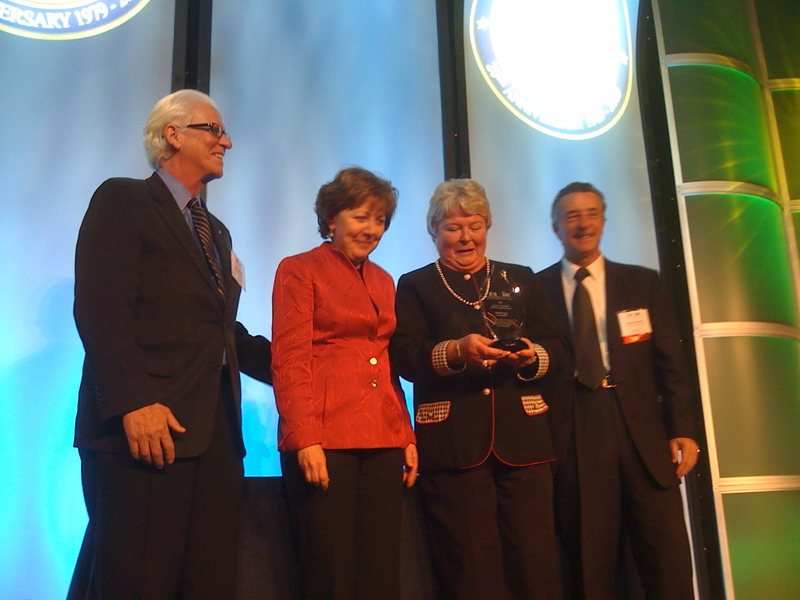 Earlier this eyar at FCW’s 2008 Federal 100 Awards Gala, we gave Lee a special recognition for her outstanding service. Lee is beyond well respected having served a distinguished government career. After the break, I will post the full ACT/IAC release, but… soon after Lee retired, I wrote FCW’s editorial praising Lee. As we all know, leadership doesn’t depend solely on one’s title. True leaders are beacons no matter what position they hold, and that has always been the case with Lee. She also is universally liked and respected, which puts her in a small club these days. Lee is one of those rare people who can build consensus and be forceful at the same time. She listens, yet she manages to keep the ball moving down the field. She has always looked out for what was best for the agency, the government and the citizens of the country for whom she worked. You all know Deidre Lee, or Dee, and I am sure you all know her history as the head of NASA Procurement, where I first met her, then, head of all DOD procurement, then the head of all federal government procurement policy as the Administrator for the Office of Federal Procurement Policy at OMB, then at GSA as an Assistant Commissioner in the old Federal Technology Service, and last as the Director of Management and Chief Acquisition Officer at FEMA within DHS. Dee has not only been an exceptional leader in all of her jobs, but she has been a great voice for the acquisition community everywhere she has been. She is well-liked and respected by everyone who knows her and by thousands more who have not had the specific pleasure yet of getting to know her. I don’t expect to see another person ever who will have been a leader at NASA, DOD, GSA, DHS, and a political appointee leader of OFPP, with a comet’s trail of successful experiences, and the government, the taxpayers, her employees and co-workers are so much better simply because of Dee. I couldn’t agree more. She is, in short, simply remarkable. Here are all the awards presented at the ACT/IAC Executive Leadership Conference. 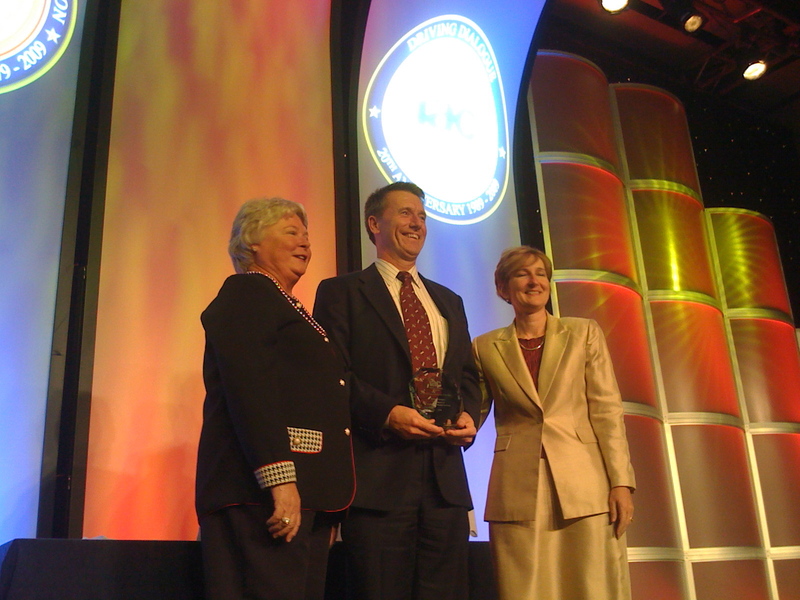 Williamsburg, Va., Executive Leadership Conference – October 28, 2008 – The American Council for Technology (ACT) and the Industry Advisory Council (IAC) last night named Deidre (Dee) Lee, Director of Defense and Intelligence Markets for Compusearch, as the winner of the 2008 Janice K. Mendenhall Spirit of Leadership Award. The award went to Ms. Lee in recognition of her many contributions to the information technology (IT) community and promoting government and industry partnerships. The Janice K. Mendenhall Spirit of Leadership Award is the highest tribute ACT/IAC can bestow upon a member of the IT community. It originated in 2001 in memory of Janice Mendenhall, a life-long government civil servant and exceptional leader known for her focus on mentoring and strengthening government and industry relations. Given annually, it singles out a professional from either the public or private sector who has promoted and supported ACT/IAC’s mission of leading the IT community to improve government. Nominations are solicited from the government IT community at large, reviewed, and vetted against stringent criteria before a recipient is chosen. Ms. Lee joins a distinguished group of government and industry leaders who have received the Mendenhall including, Ellen Glover (2007); Dr. Renato (Renny) A. DiPentima (2006); Marcella Banks (2005); Kevin Carroll (2004); Howard Ady (2003); Sandra Bates (2002); and Ginny McCormick (2001). Williamsburg, Va., Executive Leadership Conference – October 28, 2008 – The American Council for Technology (ACT) and the Industry Advisory Council (IAC) last night announced the winners of several annual awards. These awards are focused on significant contributions to the federal IT community. IAC Chair Leslie Steele, ACT President Martha Dorris and Award Committee Chair Sandra Bates, presented awards to five individuals last night at the Executive Leadership Council’s awards ceremony in Williamsburg, VA. Ms. Steele praised all the award winners for their many hours of service and leadership to ACT/IAC. The ACT Chair’s award went to Prashant Gaur of the Defense Business Transformation Agency(BTA) while Tom Suder of Concert Technologies received the IAC Chair’s award. Joel Horwitz, AEGIS.net, Inc., “Rookie of the Year”.